With great interest we have read your recent publication on “Use of Intravenous Fat Emulsions in Adult Critically Ill Patients: Does omega 3 make a difference?” by Donoghue et al. 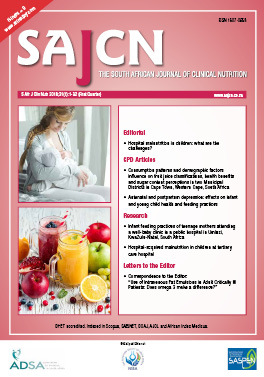 South African Journal of Clinical Nutrition. 2017;30(3): 38-48.